A mum is convinced that the Ross Geller lookalike who went viral after being captured on CCTV stealing cans of lager is her missing son. 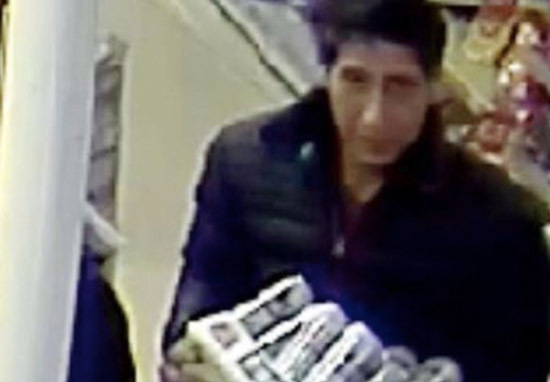 The thief gained massive amounts of social media attention after a simple police search on Facebook led to thousands of people commenting on his resemblance to Ross from Friends, played by David Schwimmer. Police in Blackpool shared a picture of the man, who was carrying a crate of beer with a shifty look on his face, on their Facebook page on October 24. Do you recognise this man? We want to speak to him in relation to a theft at a Blackpool restaurant on the 20th September. If you know who this is, please email [email protected] quoting log LC-20180920-0670. Thank you for your help. Immediately, Blackpool Police were inundated with comments on the post pointing out the resemblance to New York’s most famous fictional palaeontologist and unagi master. However, one person who saw the post did not see the Friends resemblance, instead believing that the suspected thief was someone else altogether. Susan Trowbridge, 58, is ‘100 per cent convinced’ that the suspected thief is her adopted son who went missing in 2007. Paul Trowbridge, who would now be 36 years old, disappeared 11 years ago and has not been seen by his family since. After seeing the police appeal, Susan, from Swindon, contacted the police to let them know who she believed the man to be. Someone sent the appeal to my daughter saying he looked like Paul and she showed it to me. I emailed police and told them I was his mum but they came back and said the man in the CCTV isn’t Paul. I just don’t know how they can be so sure – they haven’t arrested anyone or named a suspect so they can’t know for definite. Because of the huge social media presence of their original post, Blackpool Police were able to announce just one day later that they had identified the man in the CCTV footage. Could we BE any more overwhelmed with the response to our CCTV appeal on Tuesday – the one where we wanted to identify a man in connection with a theft at a Blackpool restaurant on 20th September. We really appreciate your support and thank you for sharing the post with all your Friends. On a serious note, as a result of the international attention, we received a number of positive lines of enquiry. We are now satisfied we have identified the man in the picture and our enquiries are continuing. I’m his mum – call it’s mother’s instinct or whatever you want but I’m 100 per cent convinced it’s him. It’s his eyes and the way his hair falls, I can just tell. It’s the first picture of him I’ve seen in 11 years and it’s amazing. According to The Sun, Susan adopted Paul when he was nine years old. 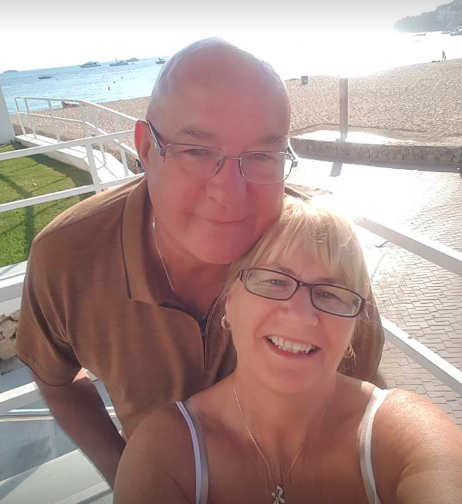 He suffered from schizophrenia and the last time Susan saw him was two weeks before his disappearance, when she was waving him off at the airport to Barbados. She said he ‘vanished without a trace’ but believes that he could still be out there, saying she just wants ‘to know he is alive’.